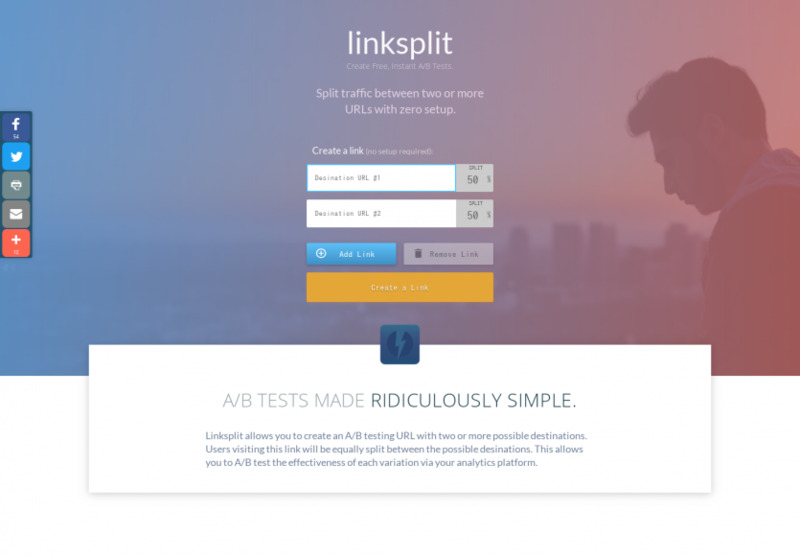 LinkSplit Free A/B Test URL Shortener - Split Traffic 50/50 Between Two Or More Links. Linksplit is a free, easy-to-use URL traffic splitter. Split traffic evenly between two or more URL's from a single, shareable link. Enter any number of URLs, and generate a link that evenly splits traffic between the variations. Link, Split, Analyse.